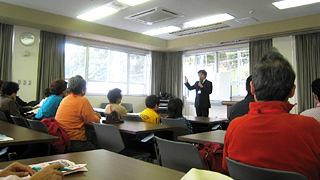 We can provide a specialist from our historical museum to visit your location and give a lecture. The main targets for this lecture would be those who are just beginning to learn about the problems of Hansen's disease. There is no charge for the lecture but we do request that you pay the transportation costs. We also may not be able to fit your schedule due to tours and duties at Nagashima Aisei-en itself. Nagashima Aiseien history museum offers panels exhibitions and DVD rental for Hansen's disease education. The available exhibits are listed below. There is no charge for rental, but we do ask that you pay postage for the DVD. Rental is provided on a first-come-first-served basis.